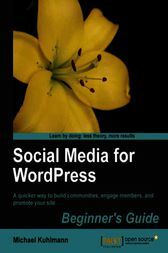 Fast paced, quick to read, impossible to put down, this book is a complete plan for social engagement on the web. Youve heard plenty of social media success stories. You know your WordPress site inside and out, but you want help. Stop right now and pick up a copy of this book.